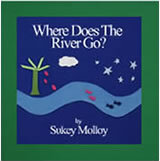 Questions & Answers - Sukey Molloy! Where was Sukey born, and where did she grow up? 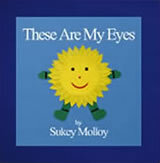 Sukey was born in Springfield, Massachusetts and lived there until her family moved to Greenwich, Connecticut when she was two years old. 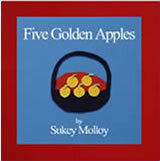 Her family moved again when Sukey was seven, this time to Simsbury, Connecticut, where they stayed through Sukey’s teenage years. Sukey and her husband Tom have two sons, James and Jonathan. Where did Sukey go to school? Sukey received her Bachelor of Science degree in Performing Arts and Education from Empire State College, SUNY, Manhattan, just three weeks before giving birth to her first son! She studied ballet and piano at the Hartford Conservatory of Music as a child and trained and toured as a professional modern dancer in New York City. Sukey is a longtime student of the Iyengar tradition of yoga, and she continues to study piano improvisation. Where do Sukey’s songs come from? Sukey’s melodies and themes are greatly influenced by nature and by her interest in movement and creative imagination. Her songs express an intimate sense of wonder and joy in being alive. She has a particular feel for developmentally based listening and learning and loves to explore different rhythms, textures, sounds and themes that correspond to growth in the early years. In her choreography, she likes to explore humor and natural gesture. She’s particularly drawn to gestures from everyday life, including the animal kingdom, and she adds these movements to her singing, teaching and performing. How many CDs and DVDs has Sukey made? What does Sukey teach in her classes? 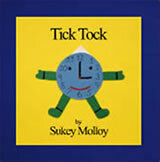 Sukey believes it’s important to provide many opportunities for young children to explore movement so they can draw upon a wide vocabulary for self expression. The songs and movement activities she has developed are directly related to this observation. Research shows that by age 10 a child has acquired the postures he or she will take through life. Sukey gives children lots of opportunities to experiment, repeat, practice, and discover what they’re trying when they participate in circle music activities and open movement play. Does Sukey have special memories growing up? Sukey was exposed to the performing arts at a young age. Her mother managed a symphony orchestra, and Sukey recalls being picked up after school to do her homework alongside the orchestra while they rehearsed. She was fascinated when hearing Peter and the Wolf and was amazed that an instrument could sound like an animal! Sukey’s maternal grandparents were both painters, and Sukey remembers spending childhood weekends watching her grandfather paint landscapes. It was magical to watch each canvas come alive with mountains, clouds, trees, hay stacks, cows, horses, and chickens. Other childhood memories include an important relationship with the family’s nanny from Panama, Nona, who is now 103! Sukey was influenced by the culture her nanny came from, and she recalls singing calypso music together when Nona would sew, clean and cook. The two still have a very special relationship.